Most millennials think that if their salaries fall below the taxable bracket they shouldn’t be filing ITR (Income Tax Returns). However, that is not true. One needs to file income tax return the time they enter a job and start earning. 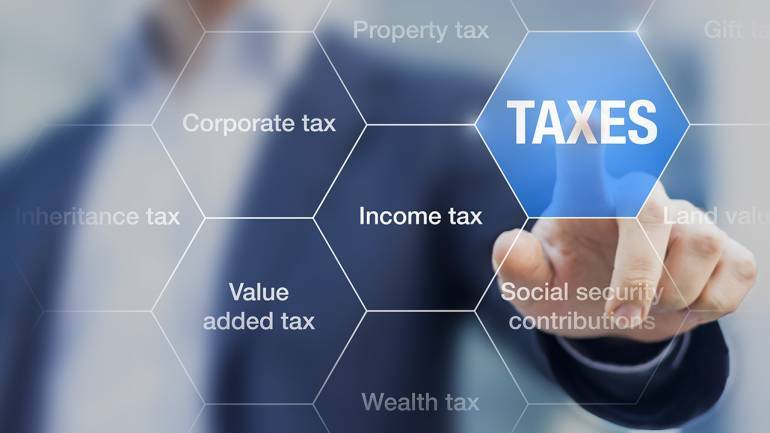 Alok Agrawal Senior Director with Deloitte India said that apart from being a good corporate citizen, an income tax return also serves as a proof of income earned by an individual and total taxes paid. So it is always advisable to file one’s tax return even when the taxable income falls below the basic exemption threshold (currently the limit is Rs 2.5 lakhs for ordinary individuals, Rs 3 lakh for senior citizens and Rs 5 lakhs for super senior citizens),” he said. “Filing of a tax return is mandatory to avail all deductions in respect of investments (e.g. for employee contribution to Provident Fund under Section 80C) and to claim exemption of the eligible long-term capital gains (e.g. investment in a new residential house after the sale of another). In other words, if total income before claiming deductions of these eligible investments and exemption of eligible capital gains is more than the above basic exemption thresholds, a tax return would be required to be filed,” he said. => ITR Receipt is an important document: Having an ITR receipt is important because it is more detailed than Form 16, entailing your income and taxation along with revenue from other sources. => Use as address proof: ITR receipt is sent to your registered address, which can serve as residential proof. => Helps the bank loan documentation process easier: Being a diligent income tax filer makes it easier for banks to assess your source of income when you apply for loans like an auto loan, home loan etc. “Banks usually ask for copies of tax returns filed for previous 2-3 years at the time of applying for the loan to ascertain income capacity of the individual. Hence, to apply for loans a tax return would be required to be filed,” added Agrawal. => Compensate losses in the next financial year: Unless you file the ITR, you cannot recompense your expenses/losses in the previous financial year to the current. As per the income-tax provisions, if tax returns are not filed on time, unadjusted losses (with some exceptions) cannot be carried forward to future years. Hence, to ensure that the losses are carried forward for future adjustment, a tax return would be required to be filed. => Helps to avoid extra interest: If you don’t file ITR, the belated return could lead to extra interest at 1% per month for the remaining tax payable by you. For example, banks would deduct tax from interest on fixed deposits exceeding a certain threshold. To claim a refund of tax deducted by the bank (if any) on the interest income, a tax return would be required to be filed regardless of the taxable income. => Avoid penalties or scrutiny from the tax department: From FY 2017-18 Rs 10,000 would be levied for non-filing of ITR. This black mark will remain for years to come. => Credit Card Processing: Banks can reject your credit card application if you haven’t filed your ITR. => For a hassle-free visa application procedure: At times visa authorities ask for copies of past tax returns, hence to apply for a visa a tax return would be required to be filed. Embassies, especially those of US, UK, Canada etc. when processing your foreign visa application, are particular about your tax-compliance. => To buy an insurance policy with a higher cover: If insurance companies have reasons (non-compliance) to believe that you are a tax-evader, they will not give you policies with more cover. => Makes life easier for freelancers and independent professionals: Freelancer or self-employed people don’t have Form16. This is the only document they have to show that he has filed the ITR. Without this, they can face funding issues and transactional problems.